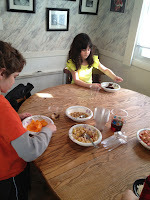 There are many different ways to observe the holiday of Passover. In my own personal custom, I'm pretty committed to the idea of one Seder, on the first night of the holiday. 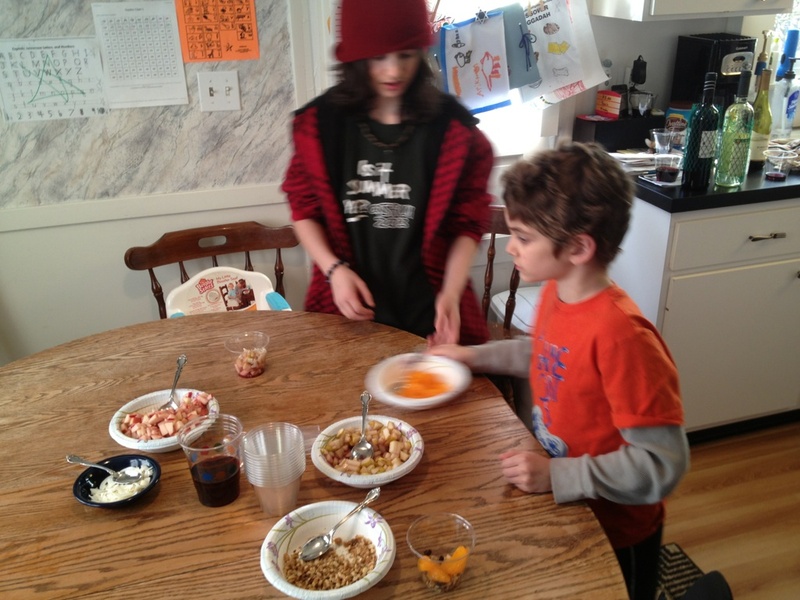 A second seder has always felt, well, secondary. It lacks the excitement, the enthusiasm, the delight (albeit short-lived) of that first taste of matzah. But I love a good party. So I don't usually turn down the idea of a second-night-of-Passover Party. 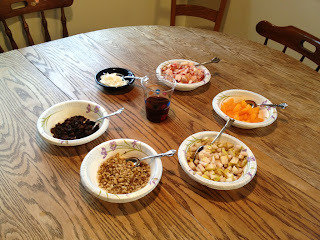 Oh, and since I also love to teach and discuss and enjoy traditions, I don't mind throwing a few of the Seder customs into that second-night-of-Passover party. 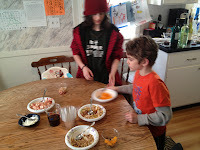 Often, our second seder is somewhat experimental. So this year, we tried a few new things. 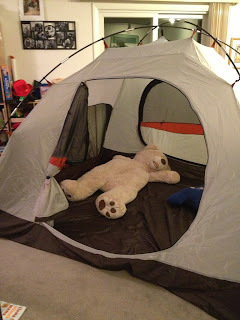 First, we set up a tent in our living room. Our living room isn't very big, so the tent took up most of the space. But it did allow us to ask a fifth question - "what's with the tent!?" I had hoped it would spark a discussion of what it would be like to wander in the desert, what we would pack if we had to leave on a moment's notice. Alas, it wasn't quite as sparky as I'd hoped. But the kids loved having a tent. And Big Bear loved having a room of his own. I think it might be fun to ask people to suggest their own ingredients, or to ask them to bring a bowl filled with a charoset ingredient and its significance toward the lessons of Passover. Either way, I think I've created a hit with this one! In case you're interested, we also watched some of our favorite Pesach videos and had a little discussion about freedom, slavery, and plagues. 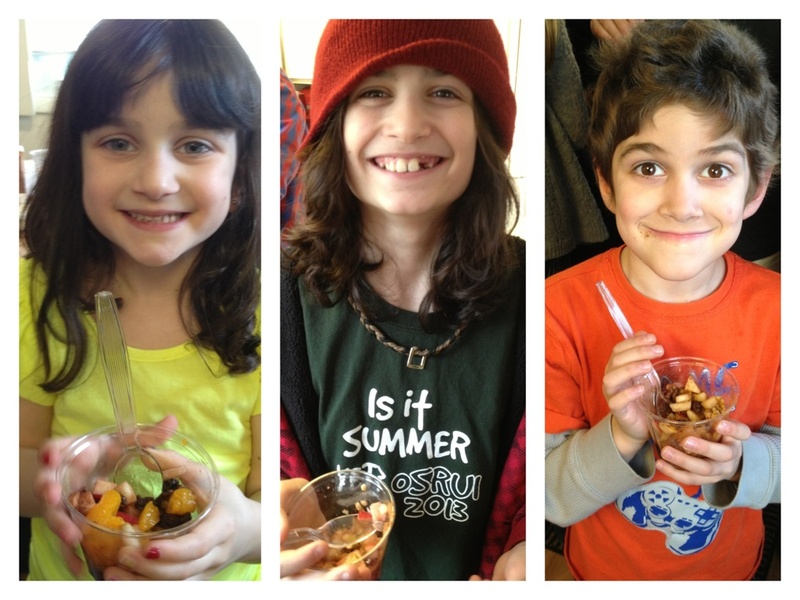 Yael said the four questions (even though she got both giggly and shy) and I quizzed all the kids about all that they knew about Passover. And of course, we ate a yummy meal! We celebrated with friends and family and I consider it to be a wonderful and fun success! How were your Seder experiences? Did you try anything new? Please share....I'd love to learn from you! Try to get some blocks of dates which help the charoset stick. Mix with a bit of boiling water. Make into balls or blocks and coat with coconut.